The month of Margazhi which is also referred to as Dhanur masam, is of great significance, according to the Hindu calendar. Margazhi is welcomed by kolams, special early morning pujas, music concerts and keerthanams. And so, we can see the colourful kolams drawn by women at their doorsteps in the early morning. The month of music, dance and drama officially starts today. But the music festival has already kicked off! The music festival which started off in a small way in 1927, for about 10 days has now emerged into something immense and starts as early as mid-November and continues till mid-January. 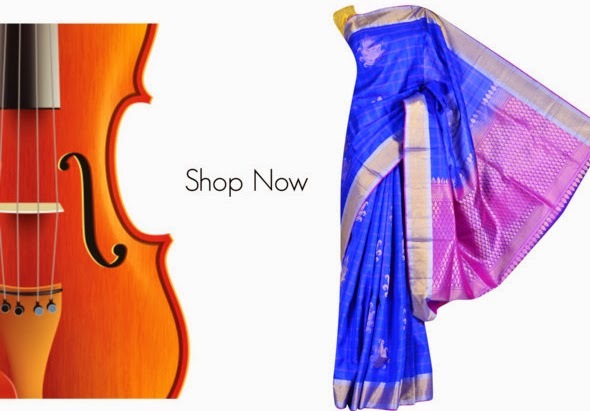 Along with the ragas and melody, splendid silk sarees and tussar weaves adorn the Margazhi concerts. The kutcheris and carnatic songs get enriched with the ethnic look that the singers render to them. The performing artistes draped in the silk saree and decked up with jewel have a special place in every rasika’s heart. The endless conversations between the listeners will also include the type of silk saree, the colour and the border along with the thalam, ragam, swarams during the concerts. Just as artists are coming up with new ragas and themes for rasikas of music, Pothys innovates and presents new designs and trends in silk sarees for the kutcheri goers. 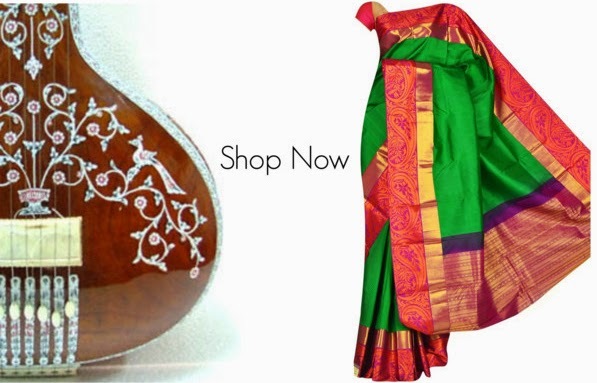 One just can’t witness the world-famous music festival and the Margazhi season without the rustle of charming silk sarees!